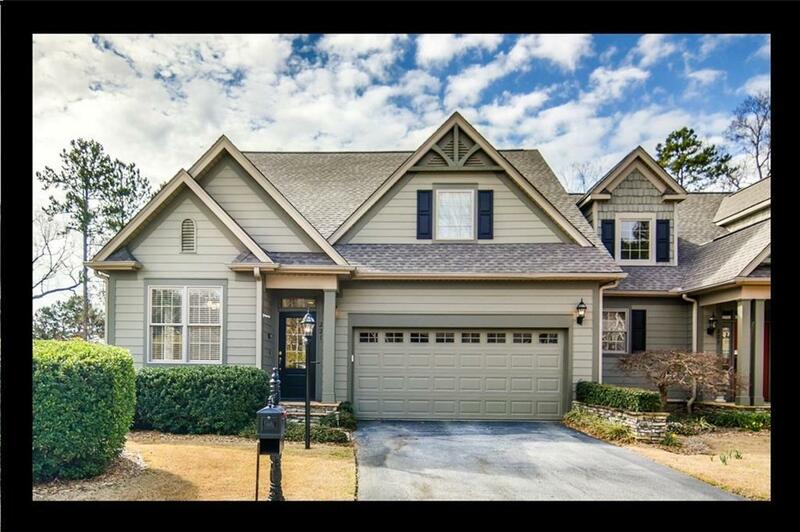 This is the perfect size Club Cottage located in Keowee Key, the premier gated Lake Keowee golfing, pickle-ball, and tennis community. This Club Cottage has beautiful views of the "new" Keowee Key golf course and is just a short walk from the brand new Bistro and the newly reconstructed Clubhouse Restaurant. This is an open floor plan design. Enter the front door and a 3rd bedroom or office (this owner has always used this room as her office), a powder room, laundry room and opens into the Great Room which combines dining and living area with the kitchen. A covered porch faces the golf course. The Master Bedroom and Bathroom complete the main floor living. The staircase leads to the lower level which features a recreation area, small kitchenette, and a guest en-suite along with storage. Guests using this terrace level space will be able to walk out to the patio that looks towards the golf course. The two-car garage provides additional storage should you need it. 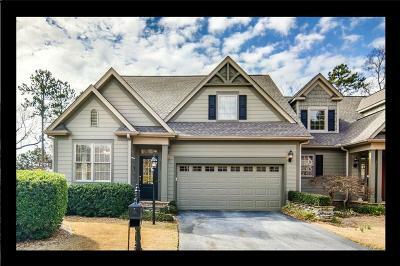 This home provides the ease of living in a gated community and the privilege of just locking your door and going on a trip because the Club Cottages are a community within Keowee Key. The roofs were replaced on all the Club Cottage units within the past two years and all of the exteriors were painted. You will have quarterly fees payable to the Club Cottage Association and also the Keowee Key community fees. There is a one time fee payable to Keowee Key at the time of closing of $2,842. Annual Keowee Key fees are $4,235. The Club Cottages' quarterly fee is $700.00. There is a small fee payable to the property management group at the time of closing. Storage access in the garage in the floored attic space.